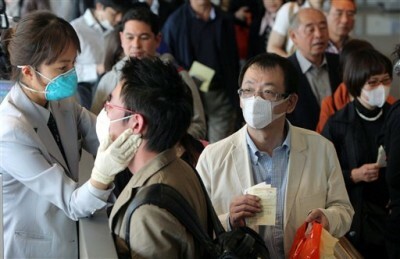 The Worldwide H1N1 Swine Flu Pandemic. We bring to the attention of our readers a collection of in-depth reports and articles on the H1N1 Flu Pandemic, published by Global Research since the outbreak of the crisis in Mexico in April. The Worldwide H1N1 swine flu pandemic serves to mislead public opinion. The 2009 pandemic, which started in Mexico in April, is timely: it coincides with a deepening economic depression. It takes place at a time of military escalation. The epidemiological data is fabricated, falsified and manipulated. According to the World Health Organization (WHO), an epidemic of worldwide proportions now looms and threatens the livelihood of “2 billion people [who] could become infected over the next two years — nearly one-third of the world population.” (World Health Organization as reported by the Western media, July 2009). According to the Obama adminstration, the “swine flu could strike up to 40 percent of Americans … and as many as several hundred thousand could die if a vaccine campaign and other measures aren’t successful.” (Official Statement of the US Administration, Associated Press, 24 July 2009). These statements serve to mislead public opinion. There is ample evidence, documented in numerous reports, that the WHO’s level 6 pandemic alert is based on fabricated evidence and a manipulation of the figures on mortality and morbidity resulting from the N1H1 swine flu. The decision points towards the militarization of civilian institutions, including law enforcement and public health. A nationwide vaccination program is already planned for the Fall. The pharmaceutical industry is slated to deliver 160 million vaccine doses by the Fall, enough doses to vaccinate more than half of America’s population. The Pentagon is already planning on the number of troops to be deployed,. with a view to supporting a mass vaccinaiton program. It is worth noting that this involvement of the military is not being decided by the President, but by the Secretary of Defense, which suggests that the Pentagon is, in a key issue of of national interest, overriding the President and Commander in Chief. The US Congress has not been consulted on the issue. This decision to mobilise the Armed Forces in the vaccination campaign is taken in anticipation of a national emergency. Although no national emergency has been called, the presumption is that a national public health emergency will occur, using the WHO Level 6 Pandemic as a pretext and a justification. Other countries, including Canada, the UK and France may follow suit, calling upon their Armed Forces to play a role in support of the H1N1 vaccination program. THE H1N1 SWINE FLU PANDEMIC. SELECTED ARTICLES, NEWS REPORTS, ANALYSIS AND VIDEOS. What are the Origins of Swine Flu? Is the H1N1 Virus Endemic in Canada’s Hog Farms? Now legal immunity for swine flu vaccine makers. The A H1N1 Pandemic: Pig to Human Transmission of the Swine Flu? Can Swine Flu Be Blamed on Industrial Farming in Mexico? How Deadly is the H1N1 Virus? GlaxoSmithKline: A Swine Flu Windfall?